Living independently seems to be the most difficult thing to do when you are in old age. You need assistance for activities like visiting the doctor, a companion to do activities and also you need someone of your age to be your company. Retirement communities aim to deliver you just what it takes to make the 60s of your life, your most independent stage of your life. 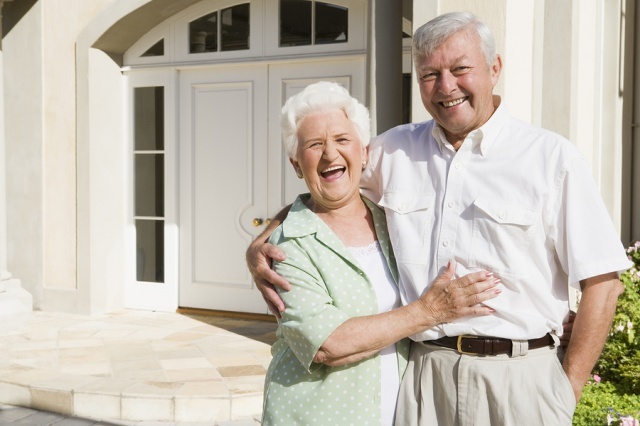 An independent living is arrangement, which is designed by keeping in mind the seniors. The residents to these housing arrangements are generally seniors, who are of the age 55 years and above. Houses vary in style, from apartment style living to free standing. These houses are structured in accordance with the physical conditions that prevail in old age. The houses are compact, to ease the process of navigation for the seniors. Also, these houses require a minimum maintenance, which reduces the worries of the older adults. Living in a community, elders can enjoy the facilities like recreational centre for art and craft work, a game of cards or golf. In old age, it is considered necessary that there is some movement in the body, so that the blood circulation does not get hampered. This also, avoids stiffness in the muscles. Indulgence in these activities help seniors maintain a good psychological balance and remain mentally active. Some simple activities like a booker’s club can also be a good idea as a hobby. Community homes offer to help the seniors to accommodate themselves in an independent facility, in which they can enjoy services like fitness centres, swimming pools, wellness centres for Yoga and meditation and many other interesting activities. Laundry services, basic housekeeping services, daily meals and salon or parlor services are some other benefits of living in an independent community. Medical Care is a primary concern for the seniors. Some of them face difficulty in driving and many others are unable to drive. Community homes efficiently address to the medical needs. They provide 24X7 medical facilities for the seniors. The health care centres are generally located in the vicinity and doctor also pay home visits to the patients who face difficulty in walking. Emergency medical services are also provided. How to plan an Independent living Home? An independent community home is not something that you can buy overnight. You need to plan the process of buying, shifting and living. And for this, you need to start your research early to be able to buy a home of your choice in the retirement community. Start with shortlisting some projects online. Look for the already established communities that have vacancy for residents. Once you shortlist your choices, do some ground level research. You can travel to the community site and see the weather conditions that prevail in the area. Make sure that you can acclimatize to the conditions well, or else you may suffer health issues at an age where your body has a lower level of immunity. If the climate is not favourable; switch to the other options. While shifting into your retirement home make sure that you pack well. Do not carry the clutter, thinking that you MIGHT need them. However, pack the essential documents and old medical records. Living in a retirement community,is comparable to living a life of total self dependence. Therefore, there are no two ways to the statement that, living in retirement community is living in total bliss.